# There is a 20 x 20 grid in which the agents occupy. # If they walk off one edge they end up on the other side. # Let's first specify the initial number of agents. 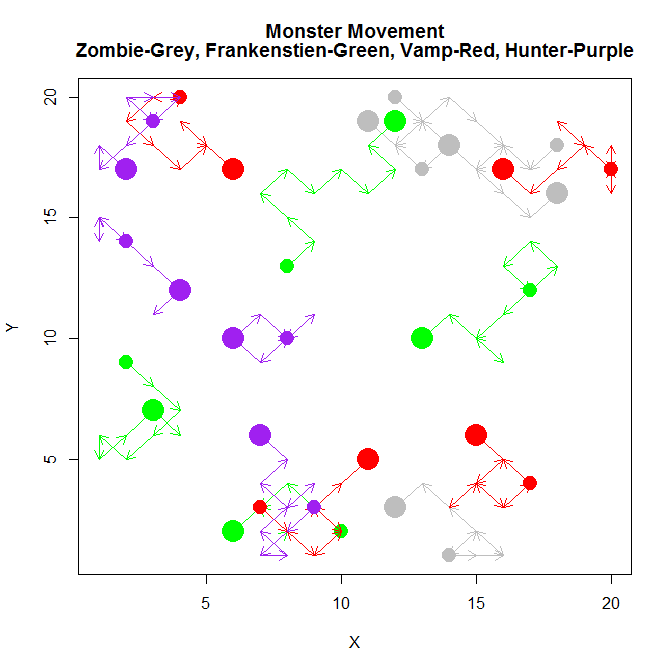 # Now we will create a movement matrix for each monster. 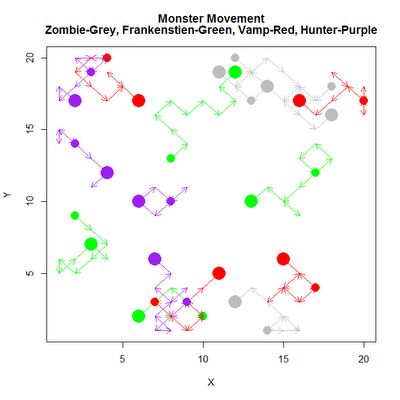 # Create a vector for each monster in the simulation. # Due to number of files separate objects it is not very easy to plot them. # Let's speficy the color of each monster type and hunter. # Remember Zombie is 1, Frankenstien's 2, Vampires 3, and Hunter 4. # Large circles are end points, small beginning points and arrows movement over the different turns. # The agents do not interact with each other so this simulation really is not that interesting. In a future post I might explore what happens when agents can encounter each other and how the entire simulation resolves.